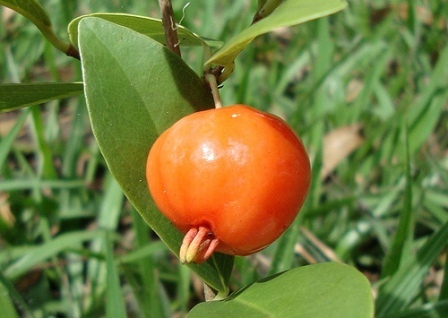 Savanna pitanga is a fruit from South America. It grows in Argentina, Paraguay, southern, central and eastern Brazil. Though this fruit has not been brought under cultivation yet, but still it occurs quite frequently in its natural habitat. A deciduous shrub growing upto 2 metres The globose fruit is 15 – 25mm in diameter having a rhizomatous rootstock, producing suckers and spreading to form dense thickets. Leaves alternate or verticillate, subsessile, chartaceous or coriaceous, shiny, glabrouswith translucent glands, 4-5 cm long. Flowers androgynous, white, solitary or in groups of 2-5, axillary, with peduncles 1-3 cm long. Fruit a berry, globosa costate, red and shiny with black pulp, very succulent, with a pleasant sweet acidic flavour. 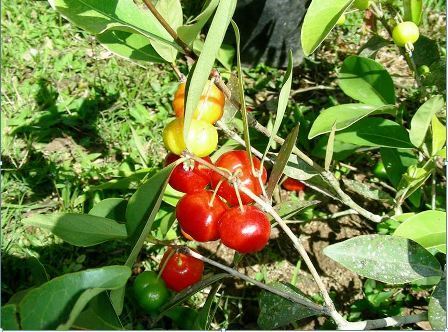 The red fruits of savanna pitanga can be eaten raw and cooked in jellies etc. If the fruits are left to ripen on trees till they become dark red, then they taste best. The raisin aftertaste of the berries also disappears at this stage. 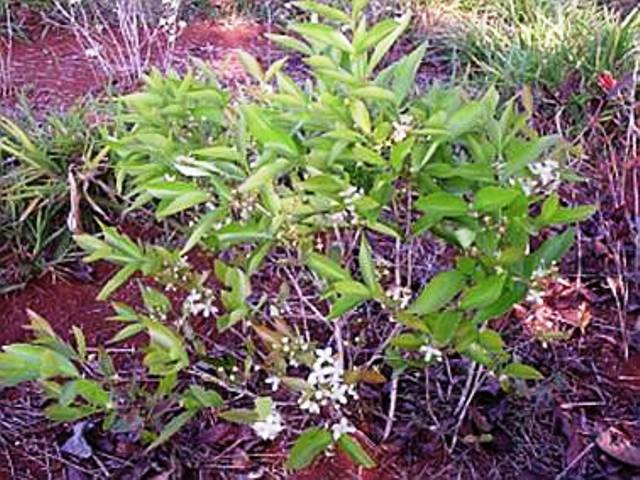 Savanna pitanga shrubs perform best if planted in full sun or part day shade. These seem to be adaptable to a wide range of soils but cannot tolerate alkaline soils. It is better if the soil has high organic matter. Savanna pitanga also does very well if grown in a planter and kept in the balcony. In this case the plants do not grow more than 60-70 cm. New plants of savanna pitanga can be raised from seed. The seedlings start bearing fruits in two years.